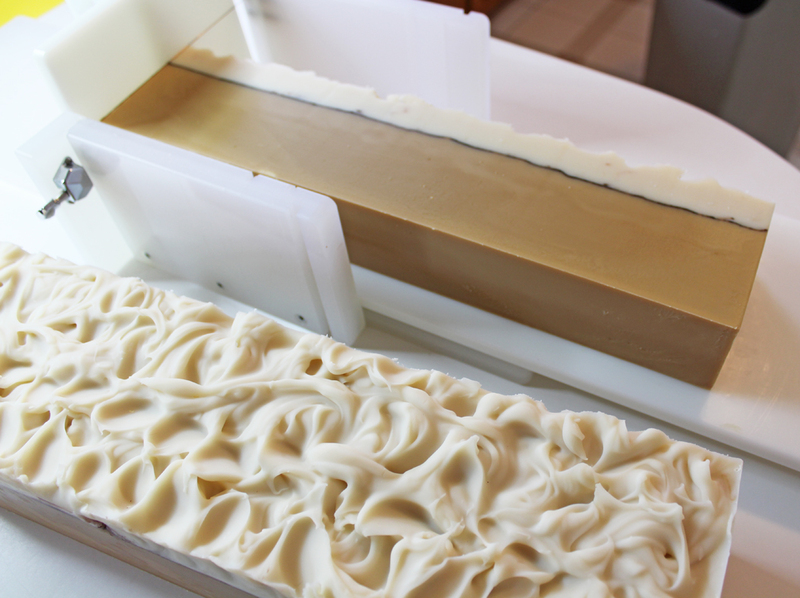 Magellan’s Gift™ Sudsy Cargo is a highly crafted ale soap and a salute to all the local brewers of Harrisonburg, VA. The small college town of Harrisonburg is located in the Shenandoah Valley and is home to quite a few small craft breweries – many in walking distance to each other. They often collaborate on sudsy delights. This current batch was made with locally crafted IPA. A whole six pack was used, one for sampling and five for the soap. This wonderfully aromatic ale was cooked down to concentrate and remove the alcohol and the carbonation. Alcohol and carbonation are not friends to the soap making process. 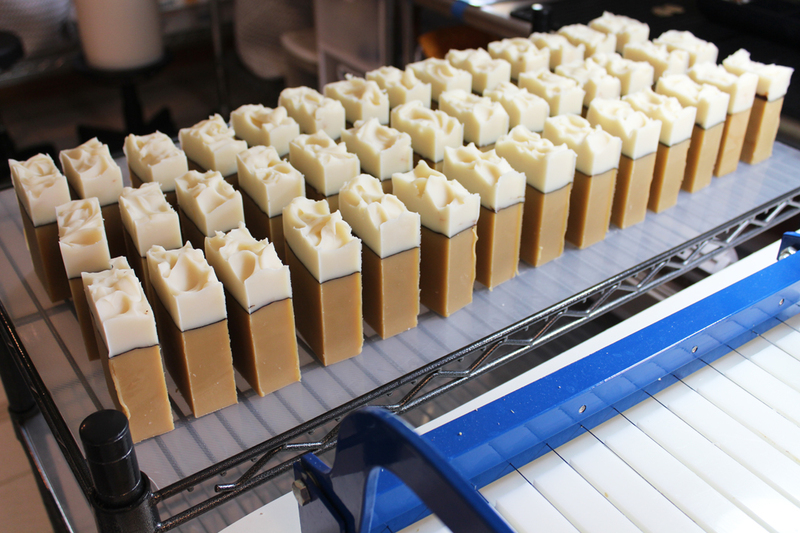 The natural sugars and hop extract that were left were a very welcome addition as they add conditioning bubbles to the soap. In the end, I found the results made me very hoppy, oops, I mean happy, indeed. 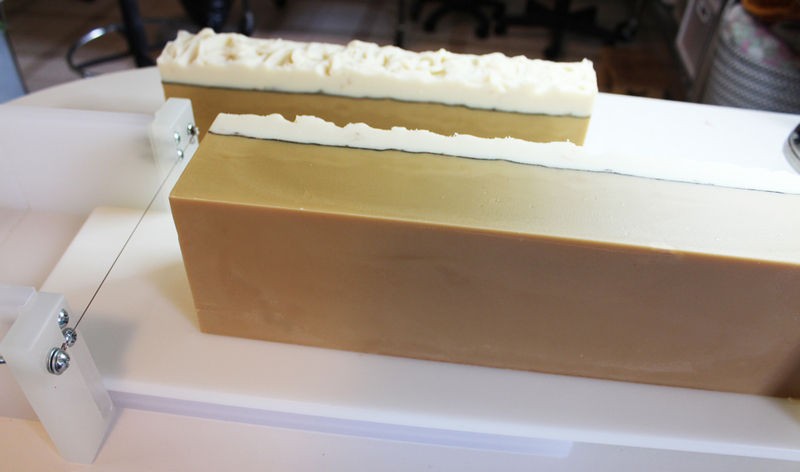 The tall skinny shape is created by pouring in to a deep slab mold. Actually, two separate batches were made – one with beer and the other was plain – creating the “foamy ale head”. A line of pure chocolate cocoa is used to the separate the layers. The mold is removed and cut into logs with a splitter. The logs are then cut into bars. 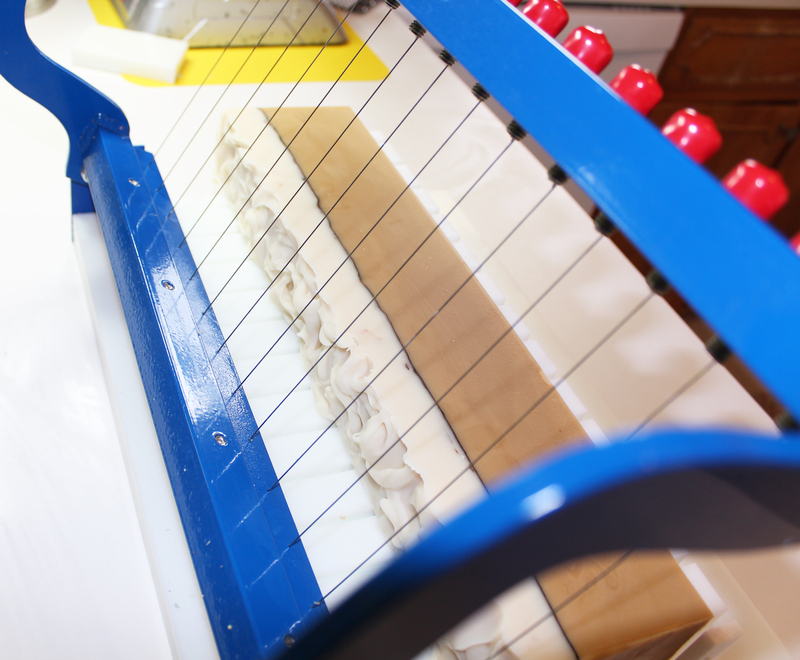 Top view of a multi-bar cutter that uses wire for perfectly cut bars! The bars are moved back to a dedicated room with a fan to assist in curing for at least four weeks. 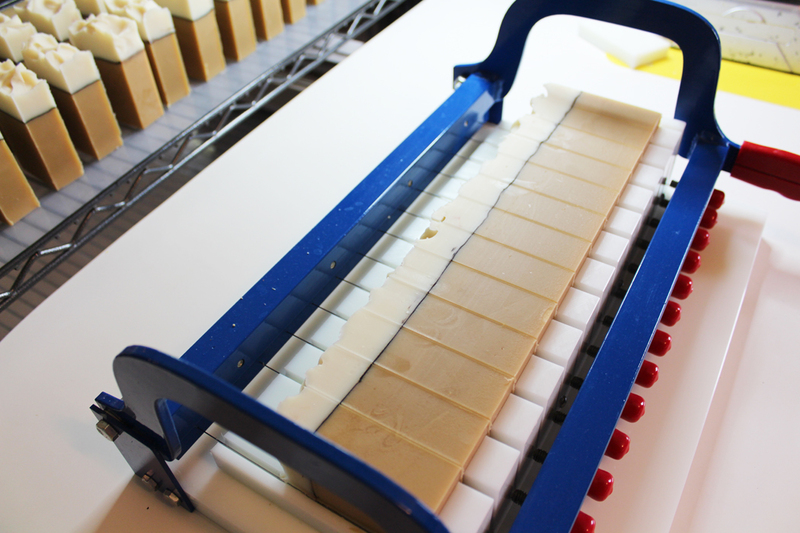 The soap becomes harder, longer lasting, milder and with more lather. Yours truly, wishing you a sudsy summer! 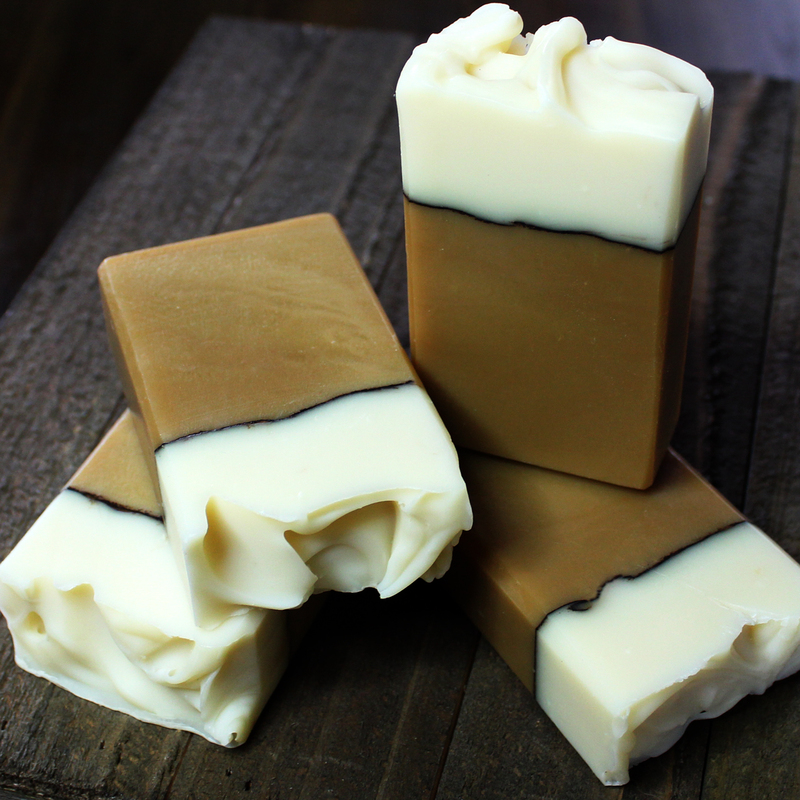 Lori Curry ~ Magellan’s Gift ~ Adventure & Discovery in Fine Soap!